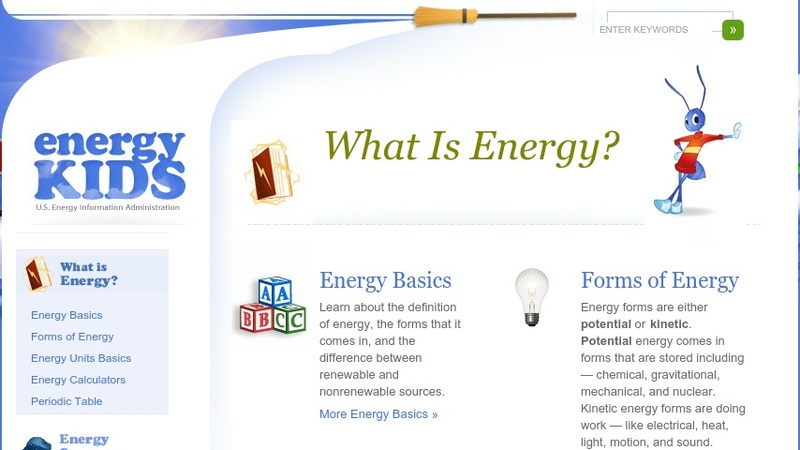 This tutorial offers straightforward information on energy basics, forms of energy, renewable and nonrenewable energy sources, energy transfer, and a historical perspective of scientific breakthroughs in the field. It includes games, experiments, and an Energy IQ test for the middle grades. Especially noteworthy are the diagrams, tables, and images that support the text. This resource was developed by the U.S. Energy Information Administration, an independent organization that collects, analyzes, and disseminates impartial energy information to promote public understanding of issues relating to energy use. Editor's Note: The authors developed this resource for use in the middle grades, but the readability score ranges from Grade 10 to Grade 13 (depending upon the index used). It is appropriate for independent student use in high school settings, however, we recommend scaffolding for use in middle school.